” a very important point made by Sayke, the guy who came up with the idea, is almost universally missed by most people who talk about it these days, and by every single software implementation I’ve seen to date. And that is the difference between vote delegation/ proxies and vote recommendations. He doesn’t spell it out, but vote recommendations also help to keep power at the edges where it belongs, and makes it harder for people to become too influential. Please, everyone, stop saying delegative democracy is liquid democracy, because, really, it isn’t. 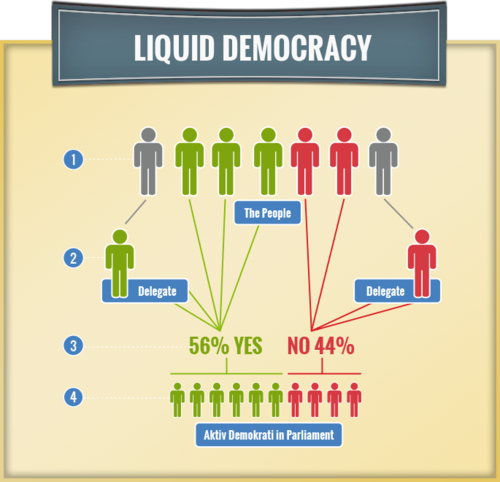 We have considered delegative and liquid as the same thing, as this seems to be the strong consensus we have found online. Would you be able to share other articles arguing for a distinction between the two?